A good quality 6'' metal vernier from Toolzone Tools. The vernier provides three-way measurements: internal, external and depth. Measuring range: 0-150mm. Complete with roller for easy adjustments. 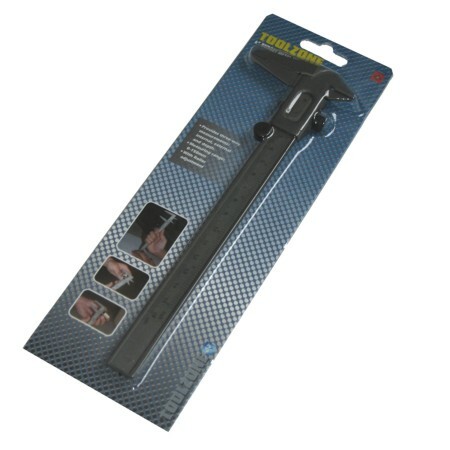 Superb value vernier from Toolzone Tools.